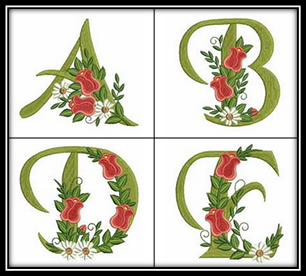 Alphabets have been around us for centuries and alphabetic embroidery designs have been passed down to us through many generations. 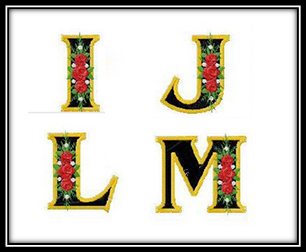 You used to only be able to hand embroider these beautiful monograms, but now, with the powerful embroidery machines available, you can use alphabetic machine embroidery designs to add a personalized message for your loved or to decorate anything you like. 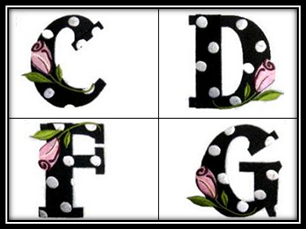 Here is a list of beautiful floral alphabetic machine embroidery designs that you can use easily to design your project. Get these designs to create a personalized gift for your loved ones or to decorate your home and your kid’s clothes. For many more designs in all sorts of styles, you can also visit OPW Mall – Where your dreams become a reality, one stitch at a time! “No matter how long the Winter, Spring is sure to follow.” Spring is all about blossoming flowers, chirping birds, butterflies, and the buzzing bees. 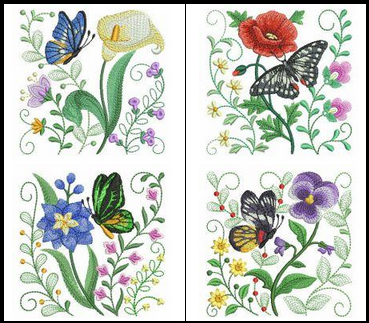 This year, welcome Spring in to your home with gorgeous new flowers and butterflies machine embroidery designs! 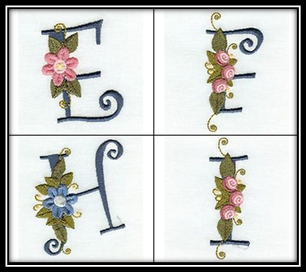 Here is a list of 5 Spring embroidery designs to beautify your home. 1.Country Garden Applique – Country Garden Applique is digitized by designer “Allsorts Embroidery.” This set includes lovely flowers and summertime bugs. You can use these designs to beautify your bags, linens, towels, table runners, etc. Eight designs in the set are available in the hoop size of 5X7 and the rest of the sixteen designs are available in the hoop size of 4X4. 2. A Bit Of Nature –A Bit Of Nature is digitized by designer “EMS Designs.” The set includes designs depicting all the signs of Spring. The artwork is done by Katherine Monte. You can use these designs to beautify your kid’s clothes, towels, linens, and apparel. The set contains 10 designs out of which four designs are of the hoop size 4X4 and rest of the six designs are of hoop size 5X7. 3. Spring Garden – Spring Garden is digitized by designer “Mimi’s Sewing Studio.” Welcome Springtime with this cheery garden ensemble. The set also includes extra elements to mix and match the designs! 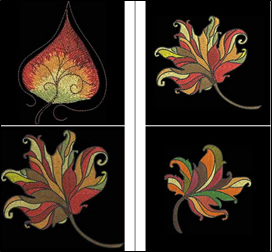 You get multiple sizes of leaves and scallops for the Spring garden embroidery designs. The designs that are available in the hoop size of 5×7 have multiple color-grouping whereas the designs that are available in the hoop size of 6×10 have only one color-grouping. 4. Butterfly Garden – Butterfly Garden is digitized by designer “Ace Points.” This set contains 11 beautiful designs. Pick a fresh flower and contrasting butterfly to match your favorite outfit. These designs are available in the hoop size of 4X4. 5. 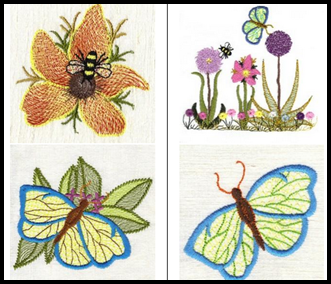 Spring Sightings – Spring Sightings set is digitized by designer “Garden Of Daisies.” This sweet little set of applique embroidery designs will help you beat the Winter blues or seasonal depression. Start your Springtime by sewing these beautiful designs on your kid’s outfits. The designs are available in the hoop size of 4X4. It is time to brighten up the mood with a fresh Spring spirit. 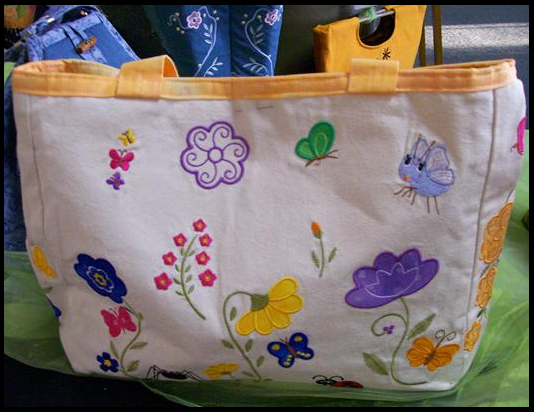 Bring Spring in to your home with our amazing machine embroidery designs. For more Spring embroidery designs, you can visit OPW Mall, where YOU are always #1! Flowers and plants are the perfect way to decorate your home and give it the look and feel of nature. Personalize your living areas by adding floral embroidery designs to home décor items. We are sure that these beautiful flower embroidery collections will definitely help you to brighten up any areas of your home where you need color and creativity to enhance your décor. 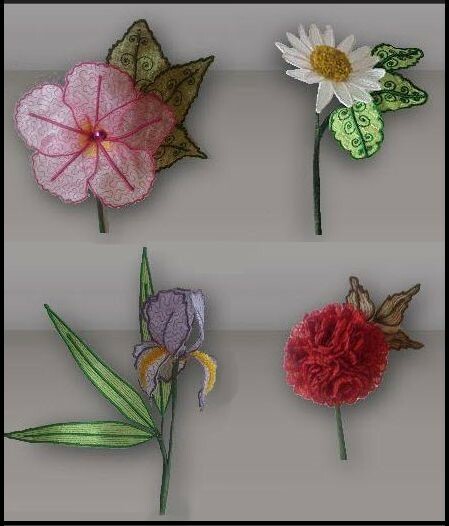 Here is a list of 5 beautiful 3D flowers embroidery collections for you to review that are perfect for this purpose. Water Color Bird with 3D Blossoms – The Water color bird with 3D blossoms is a fun project. It is digitized by designer “Embroidershoppe.” This design looks perfect on a pillow or as framed art or any other way you wish to display it. The design offers a botanical feeling with a feminine touch in paintbrush-like colors. 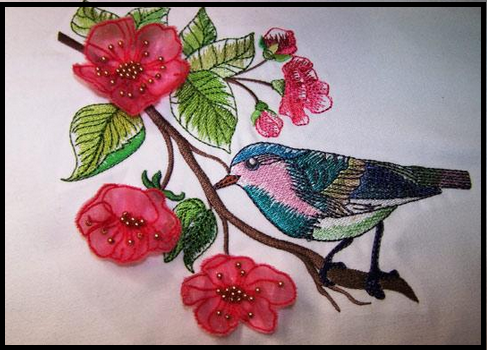 The bird is done in flat embroidery and 3D flowers are done on organza, in a 3D effect. The design is available in the hoop size of 8X8. Pam’s Lacey Flowers One – Pam’s Lacey Flowers One designs are digitized by designer “Pam’s 3D Designs.” The flowers are stitched on organza with a layer of wash away stabilizer. The wire of the flower added to give a realistic feel to the designs. 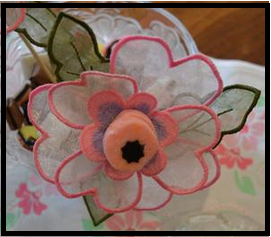 A complete set of instructions is available to create each flower. It is available in the hoop size of 5X7. 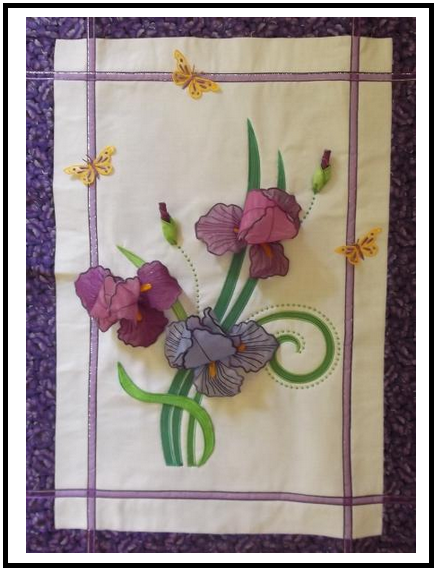 Iridescent Iris Wall Hanging – Iridescent Iris Wall Hanging is digitized by designer “Enchanting Designs.” You can use 3D Organza Iris flowers on a wall hanging. These stunning flowers will enhance your cushions, handbags, or table décor. A complete set of instructions is available with the design. 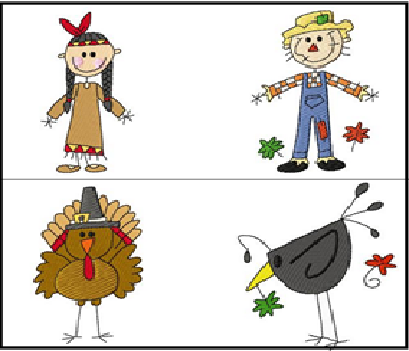 Instructions for applique patterns are also available. 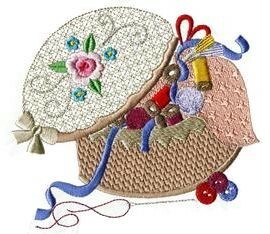 The embroidery designs are available in the hoop size of 5 X 7 and 4 X 4. 3D FSL Flowers – 3D FSL flowers are digitized by designer “Ace Points.” These beautiful flowers will look great on cushions, linens, garments, and other home décor items. 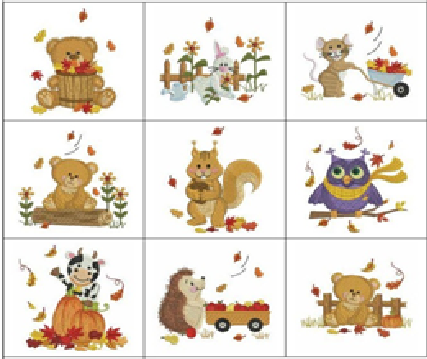 The embroidery patterns are available in the hoop size of 4X4. Heart Flower Project – Heart Flower Project is digitized by designer “Enigma Embroidery.” This beautiful flower will be perfect for enhancing the looks of your living room. 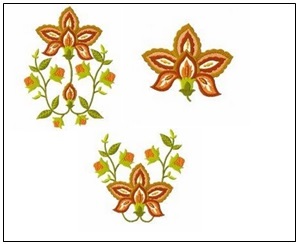 Use this flower embroidery design to create flower sticks and then use the stick for your flower vase. The design is available in the hoop size of 5X7. 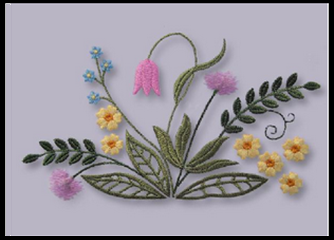 We are sure that these beautiful 3D flowers embroidery designs will add more color to your home and give you much pleasure as you create them. You can also find thousands of more embroidery designs at OPW Mall, where your dreams become a reality, one stitch at a time! Why waste your time and money searching for already embellished items for your home décor when so many fresh, unique ideas are waiting for you at OPW Mall, the #1 online source of quality embroidery designs. They offer you an expansive array of machine embroidery designs from more than 100 designers, all in one convenient location for your shopping pleasure. The styles offered are beautiful and unique. 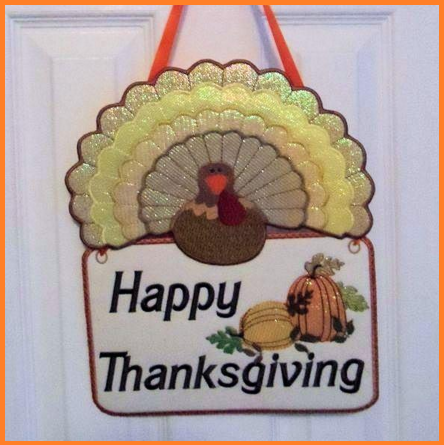 Now, with the help of your embroidery machine, you can create exquisite items for your home, for gift giving or for projects to sell at bazaars and craft shows. 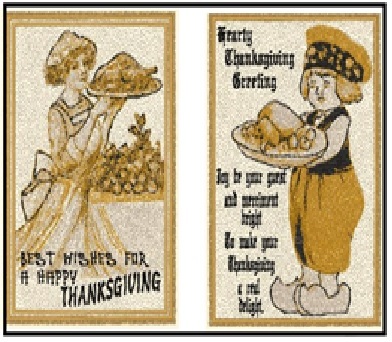 Enhance ordinary textile items such as mug rugs, table cloths, kitchen towels, toys, cushions, hooded towels, pillows, wall hangings, appliance covers, linens and much much more with various embroidery patterns to create one of a kind projects. What once was ordinary can now be extraordinary when you choose from the finest digitized embroidery designs at OregonPatchWorks. They provide special discounts and promotional offers to help you save money too and offer many free samples for you to try throughout the site. Join their mailing list for new samples each week. October is a month of surprises and it’s the best time to enjoy warm toned autumn and fall designs. Change your home décor as the seasons change. 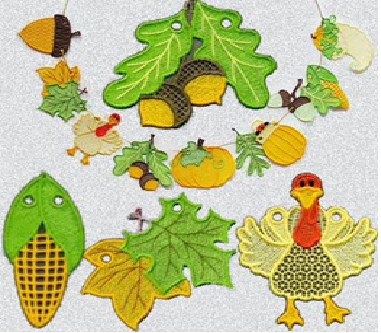 Autumn gives you the best opportunity to decorate your home with seasonal colors and textures, beginning with Fall embroidery designs to adorn various items. OPW Mall offers many designs perfect for this time of year, done by various designers. 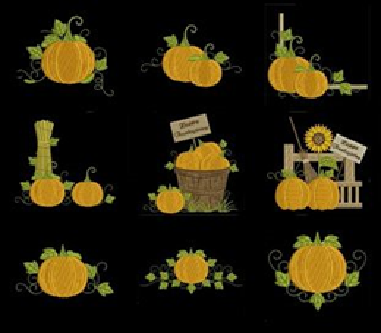 This Autumn floral design set is created by “ERINA’S DESIGNS”. These floral embroidery designs are wonderful on cushions and table covers to warm your room with bright and beautiful colors. You can also add them to a warm winter sweater or sweatshirt for a one of a kind apparel accent. This set is available in 5×7 hoop size and is available at special discounts. 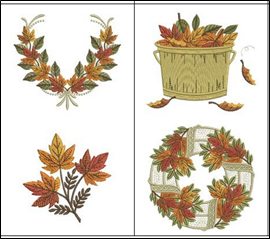 This set, created by “MM EMBROIDERY”, is a beautiful collection of Maple leaves and fits the hoop size of 5 1/2 x 8 Inch. Some of the designs in this set use a wing-needle to create the heirloom technique of Fil Tire (Parisian hem stitch). This exquisite collection is certainly a great value at decent price for a limited time. 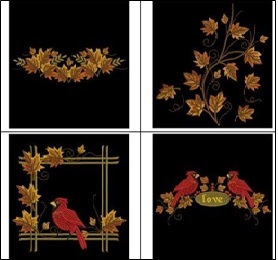 These Autumn Leaves designs are made by “SWEET HEIRLOOM EMBROIDERY” and are perfect for enhancing the look of your mug rugs, table covers, pillow covers, lap blankets, etc. 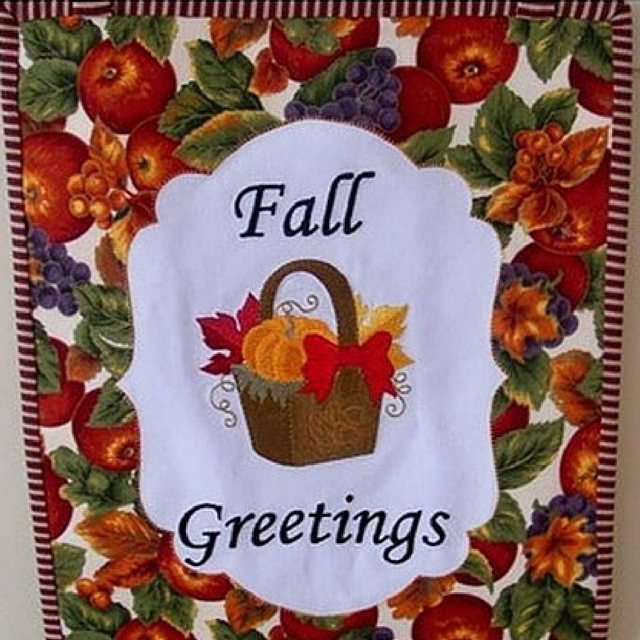 Or create a welcome banner for your entryway, it is sure to greet your guest with a warm welcome. These designs are available in various hoop sizes 4×4, 5×5 and 6×6. By ordering now, you can some special offers on these designs and many more from this designer! 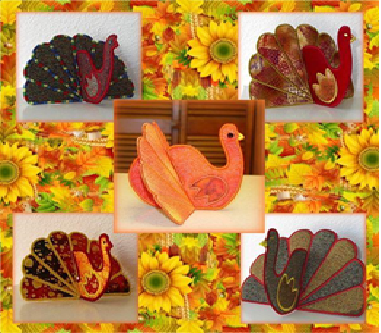 Color Wash Leaves designs are the colorful creation of “KREATIONS BY KARA”. You get 18 different designs in the set. 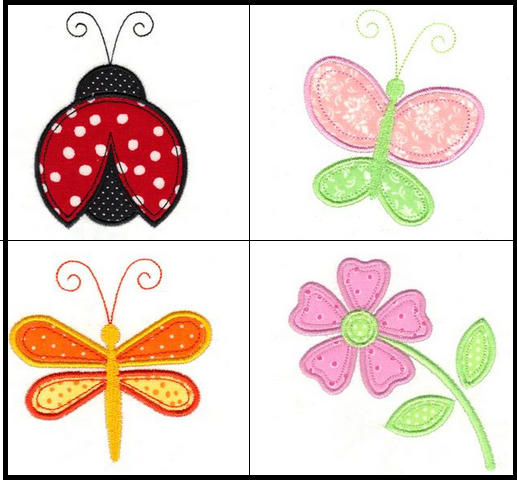 These designs are perfect for decorating your quilt, pillows, towels, bags, and embellishing apparel. The designs are made to fit the 5×5 hoop. Buy these designs now and get handsome discounts on them. This set is one example of many, showing the great creativity of “ACE POINTS”. The set contains 10 different designs and are perfect to enhance many items throughout your home. 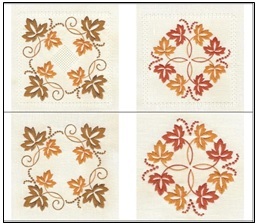 Autumn Leaves 4 designs are available in different hoop sizes i.e., 4×4, 5×5 and 6×6. Enjoy these and more at the great offers from Ace Points Embroidery. Now that you have had a small taste of the fabulous designs available at OPW Mall, you are sure to find many uses for them, as your creativity is sparked and you begin making your own masterpieces with them. Starting a new task can be quite challenging, but by using the right techniques and guidance, it can make the task easier and more fun. 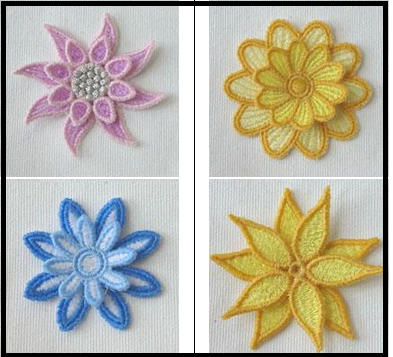 Any person who is new to machine embroidery design may find it hard to handle threads, machine, software etc. because embroidery designing is not as simple as you think. Each project using embroidery designs takes a lot of time, skill, effort, and patience before it becomes a finalized fabric masterpiece. 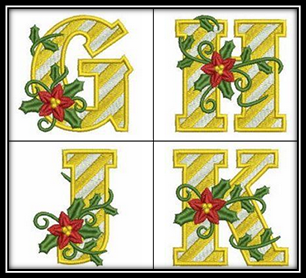 In this blog you will find great machine embroidery tips which will help you learn how to create the finest projects using embroidery designs. Improper hooping can create many problems such as misalignment of the design on the item, puckering of the fabric, thread looping, and more. Therefore, it’s important to learn the right hooping technique before starting the embroidery. First, you should know which type and size of hoop is required for your project. Each embroidery machine has different hoop sizes and the embroidery design requires the hoop size which is closest to the dimensions of the design to be stitched. Choosing the right stabilizer gives the foundation to your fabric to keep the embroidery design from distorting. The type of stabilizer you use will be dependent on the type/weight of the fabric, the density of the design and the use of the finished item. Some of the types available are cutaway, tear away and water soluble. Look for a sturdy flat surface to hoop your fabric perfectly. A kitchen table, coffee table, and desk are the best options. 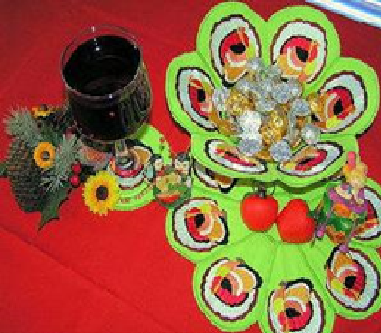 Once you have gathered your hoop, stabilizers and fabric, start by placing the inner hoop on the table. Insure that your fabric and stabilizer are flat, iron the fabric if necessary. You can bind the stabilizer and fabric together with the help of temporary spray adhesive, if you wish. Place the stabilizer first, then the fabric over the inner ring (if you have not used spray adhesive), then place the outer hoop ring on top. Smooth out the stabilizer and fabric and gently tug the edges so the fabric lies flat in the hoop, while tightening the screw. Now your hoop is ready to go on the embroidery machine for stitching. Using regular sewing threads for your embroidery projects will give the poorest design results. Make sure you choose quality threads that are manufactured for machine embroidery only. There is a variety of threads available on the market such as Rayon machine embroidery thread, polyester embroidery thread, silk thread, cotton thread, and more, each made to stitch out on embroidery designs. Let’s discuss them. Rayon thread: It is one of the most preferred threads because of its consistent performance, extensive availability, and high luster. This thread is available in a wide range of colors. Polyester thread: There are now many polyester brands on the market that have a high luster like rayon and are very strong and durable. 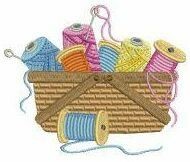 Machine embroidery polyester thread works well on projects which require frequent laundering or heavy wear. Silk thread: This thread has unmatched shine and is considered the best option when embroidering on silk and other costly fabrics. Cotton thread: This thread has a lovely soft shine. It can be purchased in a wide range of weights. Its softer quality is perfect for machine cross stitch and quilting. 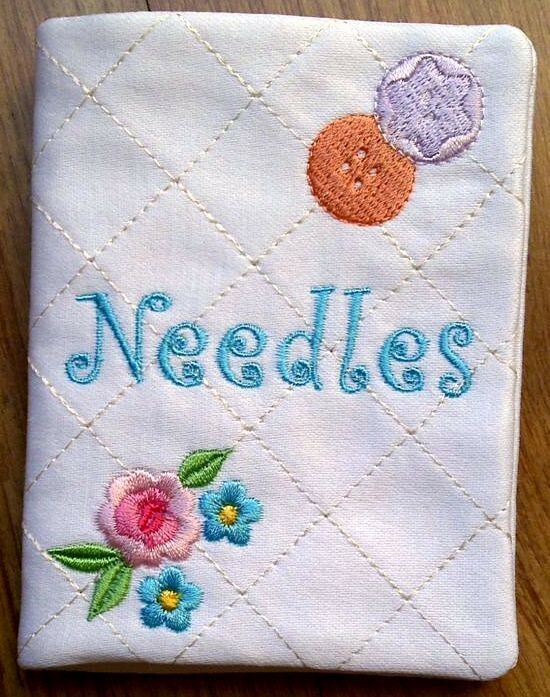 A needle with a rough burr can cause puckering of fabric and thread shredding, so if you are facing stitching problems, first try replacing the needle to see if this is the problem. Also clean out your bobbin area well between uses. There are different needle types that you can use in your embroidery machines such as sharp point needles, ball point needles, and specialty needles. Sharp point needles are good for woven fabrics and deliver the thread with less force to the fabric which prevents movement, whereas the ball point needle can effortlessly move between the fibers of knit fabrics in order to prevent tearing of the fabric. A note about embroidery designs: It is important to use high quality embroidery designs for best results. It is always good to test sew the embroidery design on scrap fabric first, to make sure it fits the needs of your project and is the quality you expect. With the proper tools, along with the best, high quality digitized embroidery designs, you can insure good results every time. 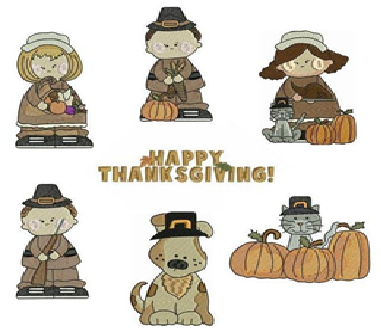 OregonPatchWorks is one of the best online embroidery design stores and offers a wide range of quality machine embroidery designs, frequent bonus offers and courteous services.